Working moms are busy. Between getting the kids ready for school and getting to work, the chances of having some ‘me time’ are few and far between. The only time we get is usually in traffic. The other day, we shared five practical makeup tips for working moms because we understand the dilemmas working moms face when it comes to self — care. As much as we always want to look like we got a good night sleep, sometimes the universe conspires against us. So, we end up dashing out of the house without makeup with our hair in various directions. How then do we fix that? How do we ensure you look half-decent every day of the week without putting too much effort? It’s simple. There are times when no matter how you squeeze it, there’s simply no time for makeup. But who cares about your face if your hair is on point? So, what are some of those hairstyles that take very little effort to install and maintain? As a working mom, it might be tempting to live in wigs but it’s not exactly the best way to treat your hair. Constantly wearing wigs gradually leads to thinning edges and hair loss. Trust me, you don’t want to be dealing with that. It’s too much headache. But if you insist on using wigs, here are some best practices to bear in mind. Avoid leaving the weaves in for too long. Too long being more than eight weeks. For wigs, make sure you take them out every night and massage your edges with castor oil to prevent thinning edges. Try to wash your hair bi-weekly. If you can’t seem to remember, make appointments ahead with your salon. That keeps you in check. Whenever you remember, try to moisturize. It will keep your hair in good shape. For those of us working moms that are not about that wig life, here are some other low — maintenance hairstyles you probably already familiar with that you can try. In recent times, Ghana weaving has gotten some really bad rep because of the collateral damage they seem to have done to Nigeria women’s hair in general. I mean, who doesn’t love Ghana weaving? It’s almost glorious to look at. But unfortunately, many stylists still haven’t gotten a hang of it without destroying our edges. Those that have are quite frankly, unicorns. All this still doesn’t underrate the effectiveness of Ghana weaving as a low maintenance hairstyle for working moms. You can literally forget your hair for 3–5 weeks depending on your texture. For the natural haired working moms, mini twists are bae. 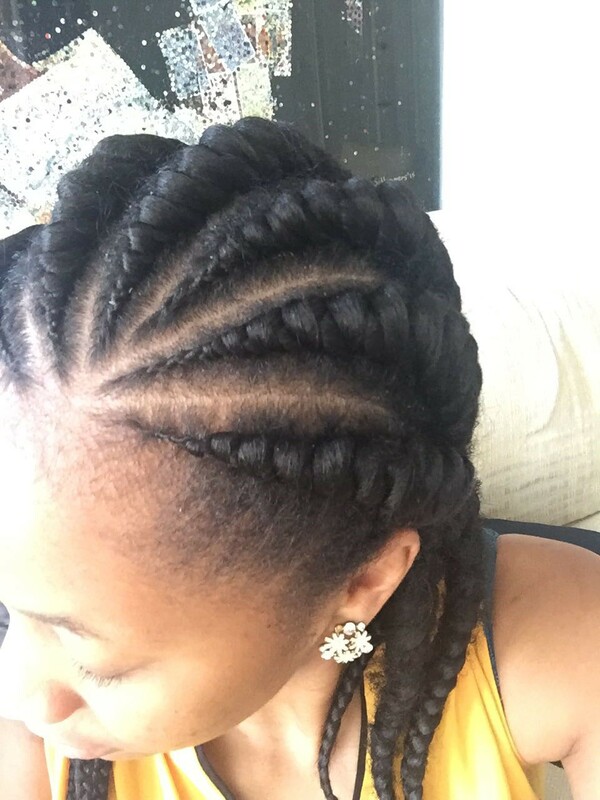 Although it takes quite a bit of time to install, the results are yummy looking twists which can be worn for up to eight weeks. Again, depending on your hair texture. For the 4C moms, this is a great hairstyle. Plus, the longer it stays, the better looking it becomes. If you’re feeling particularly pretty, you can decide to style it as you wish. 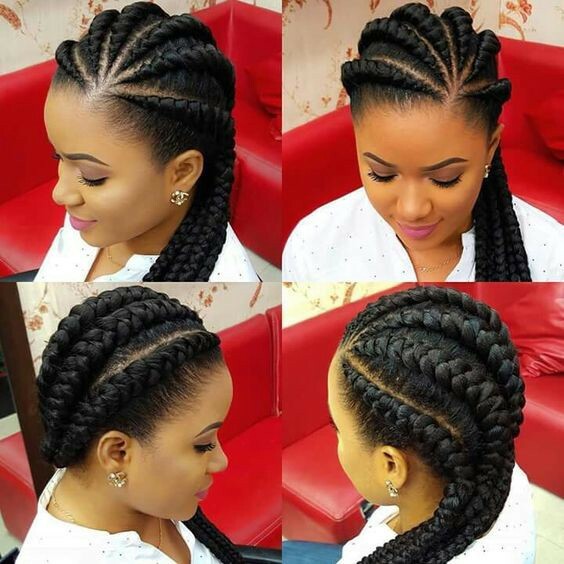 Mini- twists are cost-friendly, versatile and most importantly low maintenance. You just need to spritz your hair regularly with your hair mist and you are good to go. 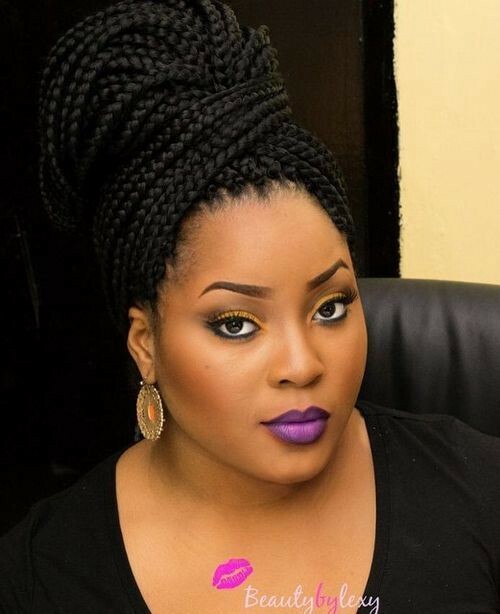 Box braids are universal and not limited to hair texture as it works for both natural and relaxed working moms. It’s a great way to put your hair away for about six weeks without thinking about it. 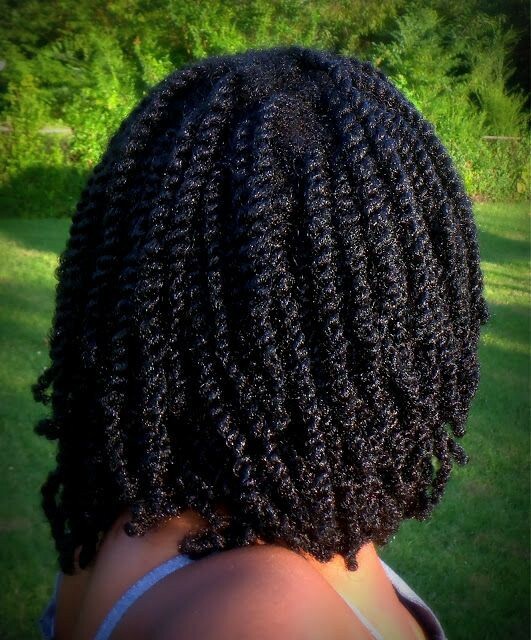 Just like mini twists, they are also versatile and low maintenance. 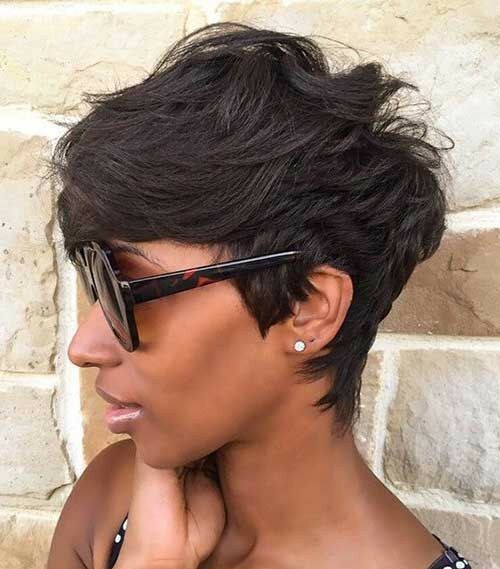 The great thing about a pixie cut is that it gives you a completely new look especially if you are used to wearing your hair or extensions long. It just keeps your hair off your back for a while which I absolutely love in this heat. Plus, you don’t have to spend so much time on it in the morning. Just brush and go. Can it get any more low maintenance than that? 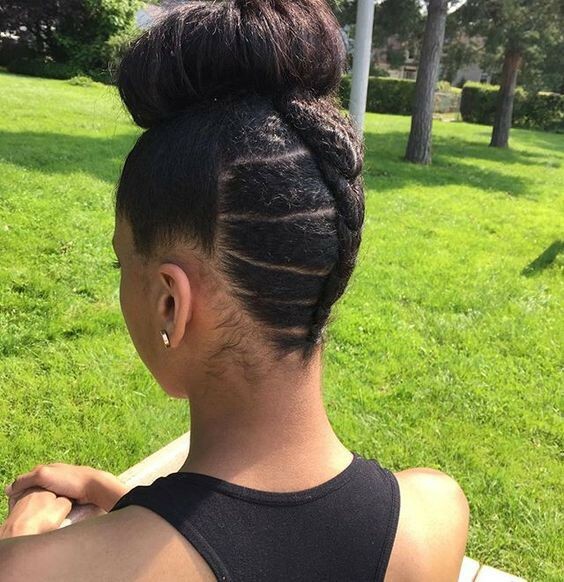 Buns work better for those with long natural hair or relaxed hair. But if your hair isn’t really long, you could always use some extensions to extend its longevity. Buns/updos are great low maintenance hair styles which can be worn for up to two to three weeks.